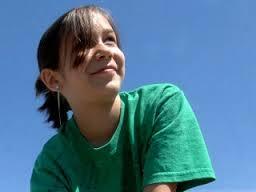 Madeline Kara Neumann, 11, died of undiagnosed diabetes at the home of her parents, Leilani and Dave Neumann. She had been growing weak for several weeks prior to her death, but her parents—Pentecostal Christians who were associated with the Unleavened Bread Ministry—declined to get medical help for her due to their belief that visiting a doctor is idolatry. Despite pleas for treatment by her grandparents, Kara fell into a coma. Her aunt Ariel Gomez reported the situation to the authorities, and police were on their way to the residence to perform a welfare check when Kara stopped breathing. Her condition would have been easily treatable with medical intervention. Kara had been withdrawn from public school the previous spring and had been homeschooled during the fall. Her parents were convicted of second-degree reckless homicide in 2009 and sentenced to each serve one month in jail each year for six years. Their conviction was upheld in 2013.